World Cup 2014 is rapidly approaching, which means it is time to book your flights and find the hotel in one of Brazil's 12 host cities that best suits your needs for the insanity of FIFA 2014. There are plenty to choose from, so we've narrowed down your search with this one-step guide into the unique accommodations the country’s host cities have to offer. Regarded as Sau Paulo’s most elegant resort and situated about 15 miles from the Arena de Sao Paulo Stadium, Fasano Sao Paulo is a luxury hotel located in the Jardins district. Guests are welcomed to jump full force in the swimming pool, unwind under the tranquility of the hotel’s luxurious spa and hit up its bars for a smooth glass of superb spirits. Located in the midst of Sao Paulo’s dynamic attractions, Fasano Sao Paulo offers an ideal escape during World Cup mayhem. With rooms starting around $362, Estanplaza Paulista is a four-star boutique surrounded by the city’s shopping areas and draped in lavish amenities allowing visitors to bask in the essence of Brazil on and off the stadium with 24-hour room service and restaurants bursting in Brazilian specialties. If you are looking for an authentic cultural experience, then Gran Estanplaza is the spot. This five-star resort is located about 20 miles from the Arena de Sao Paulo Stadium, where guests can watch the game and then hop onboard the hotel’s shuttle to escape to the comfort of their suites in style. Blue Tree Premium Congonhas is etched with top-notch amenities from multi-sports court, 24-hour room service and a superb gastronomic experience. The hotel also provides free shuttle service to the airport in addition to event venues, and is nestled among Moema’s restaurant, shopping mall and vibrant bar scene. Only 18 miles away from the Arena de Sao Paulo Stadium, Estanplaza Funchal Hotel brings colonial Brazil to the front of its services. Draped in lush art deco décor, the Estanplaza Funchal invites guests to feast their senses on gourmet specialties and let loose in San Paulo’s vivacious night scene. Ibis Belo Horizonte Savassi is set in the prominent region of Savassi in Belo Horizonte, Brazil. The hotel lures guests with its affordable accommodations and closeness to many attractions including the Serra do Cipo National Park. The newly-designed Campus Da Liberdade Flat brings luxury to the feet of its guests with an elite staff driven by integrity to create personalized experiences for guests matched with a slew of customized amenities, which includes kitchenette, Wi-Fi access and private living rooms. This exquisitely furnished five-star retreat is among the best in Brazil with spacious suites and gastronomic experiences designed to astound. This award-winning hotel laps its guests in sophistication effortlessly by providing top-notch service. You’ll completely feel surrounded in five-star elegance from at the Ouro Minas Palace Hotel, whether in your room or the exquisite piano bar. The Bristol Jaragua Hotel is set in one of Brazil’s most sought-after locations, but still close enough to experience World Cup pandemonium first-hand. From modern rooms and wide selections of cuisine to its beautiful scenery, Bristol Jaragua Hotel’s ideal accommodations come with an unbeatable prices as well as an upbeat ambiance. With the salty aroma of Pinta Negra Beach inebriating the elaborate spaces, Atol das Rocas Apart Hotel transforms its accommodations into a picture-perfect paradise for visitors. Its charm rests in the convenience of a social atmosphere filled with hotspots, stores and restaurants, superb service and a host of amenities appealing to the leisure and business traveler. Situated along a sugary coastline and seven miles from the Estádio das Dunas Stadium, Hotel Marsol Beach Resort offers a family-friendly atmosphere amid a sultry ambiance. Enjoy tropical drinks poolside, dance the night away at Botequim Bar, and unwind in the hotel’s hot tub. Escape to luxury in Pestana Natal Beach Resort, a five-star retreat catered to the traveler seeking fun in the sun. Its all-inclusivity offers guests a private pool area, oceanfront suites, aquatic adventures, babysitting services, and free Wi-Fi as well as a variety of stylish accommodations. Locals and tourists alike come here to unwind in the neo-classical elegance and comforting amenities stretched along the pristine Ponta Negra Beach. If you are looking for a combination of FIFA thrills and relaxation, Manary Praia Hotel is the ideal location to experience the best of both worlds. Bask in the beauty of oceanfront views at Porto Suites Natal Hotel, a dream getaway for the business and leisure vacationer. 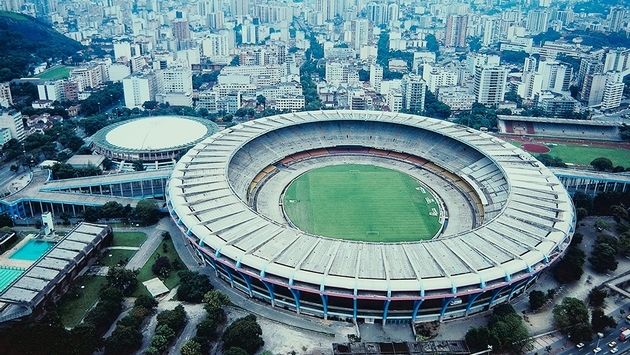 Here, guests are welcomed to dine on exotic cuisine, lay their heads on king-size beds, or listen to the roar of the fans is it explodes out of the Estadio das Dunas five miles away. Porto Suites Natal Hotel is the perfect destination hotel to spend your days reveling in FIFA mania amid beauty and the beach. Perched on Council Hill, Golden Tulip Velmelho offers a wide spectrum of cozy suites, a one-of-a-kind shopping frenzy, and superb 24-hour service, fitness center, pool, and spacious meeting accommodations in the midst of beautiful beachfront scenery. Located within four miles of Salvador’s Arena Nova Stadium, Bahia Othon Palace is a hotel destination where visitors come to experience a little heaven on earth. Whether swimming in harmony with the ebb of the Atlantic, rummaging through Salvador’s history in Pelourinho, dining poolside, enjoying some massage therapy or dancing the night away to Brazilian hits in the hotel’s surrounding nightspots, this luxurious retreat provides an extensive itinerary for the tourist. Just ten miles from the Arena Fonte Stadium and Salvador International Airport, Sol Bahia four-star quality caters to the experienced and amateur traveler. With over 150 rooms, gourmet restaurants overflowing with exotic foods, a pool bar stocked with world-class spirits, and swimming pool facilities, there is something unique for everyone. Affectionately known as the Convent and winner of several prestigious awards, Pestana Convento Do Carmo brings elegance to its guests with a baroque décor complete with luxury suites, fine dining, pool services, and a relaxing sauna. Adorned in the authenticity of the Brazilian culture, Zank Hotel Boutique is one of Salvador’s top-notch resorts to experience authentic, personalized service in the midst of Salvador’s historic center and oceanic splendor. Situated in the capital of Brazil, Esplanada Brasilia Hotel’s elegant rooms conveniently cater to its guests’ every need with excellent services, gourmet dining, cozy suites, calm vibes allowing them to feel as relaxed as possible. Since 2008, Brasilia Imperial Hotel has treated guests to an once-in-a-lifetime experience with its ideal location, reasonable rates, modern décor, top-end service, and accessibility of many of Brasilia’s historic treasures, making this four-star hotel destination a favorite among vacationers. Escape to the futuristic presence of the Manhattan Plaza Hotel, a destination where sophistication and modernity lurk around every corner. From swimming and de-stressing in its saunas to dining on Japanese temptations and world-class shopping, this hotel is a must for tourists seeking a luxurious experience. Located in the heart of Brasilia’s political center, Airam Brasilia’s Hotel offers a unique glance into the region through its local cuisines, captivating surroundings and warm hospitality. Experience four-star hospitality at its best as Monumental Bittar Hotel sweeps you off your feet from the moment you enter its sophisticated spaces. With a wide spectrum of services including an ideal location (less than two miles away from Brasilia’s Estádio Nacional Stadium) this hotel is the perfect stay for any soccer fanatic. Only walking distance from the vibrant hotspots of Curtiba, Bristol Metropolitan Flat gives its guests the option of complete relaxation or a pulsating lifestyle. The hotel treats its visitors to a complimentary mini-bar, neighboring entertainment venues and complete solitude from the distractions of the world in its plethora of available rooms. Where tradition meets luxury, Alta Reggia Plaza Hotel entertains its guest with modern facilities including Wi-Fi, concierge, 24-hour room service, a lobby bar, and business center. Adorned in modern décor, Slaviero Suites combines the cultural surroundings of shopping areas, bistros and bars with a host of comforting amenities that include fitness facilities, sauna and squash courts to enhance its customers’ stay. Luring jazz fans everywhere, the Slaviero Full Jazz Hotel will have you bobbing your head and snapping your fingers to its melodic décor. With a sophisticated design and a location in the heart of a unique shopping district and historical landmarks, this hotel destination offers a captivating experience for the musically inclined. A haven for the frazzled (especially after cheering your heart out), Quality Hotel is the ideal location to capture quality time in luxury within its heated pool, comfy rooms and panoramic terrace, while the Ticiano restaurant caters to your appetite proficiently. Charm and comfort bring travelers from all over to Blue Tree Millennium in Porto Alegre. Its superior service and proximity to the Salgado Filho International and Shopping Praia das Belas gives tourists the opportunity to build unforgettable memories in and out of the hotel’s elaborate premises. Would you like to experience the madness of World Cup Penthouse-style or have your appetites tested on gastronomic delights? If so, the Master Palace Express E Suites conveniently caters to its most demanding clientele through cuisine and personalized service within an ideal location. Relax or play in Porto Alere’ Ritter Hotel as its network of quality staff members satisfy your vacation dreams with apartment-style rooms complete with two phone lines, Wi-Fi, work table and clock radio. The hotel also offers complete access to fitness equipment, sauna, hot tub, spa and pool. In the midst of World Cup frenzy, you will be able to escape within the premises of Harbor Regent Hotel where guests are lavished with modern amenities including personal kitchenettes and spacious accommodations. It is also an ideal location to grasp the culture of the city from the nearby attractions of Redencao Park and the Contemporary Museum. The EKO Residence Hall is an eco-friendly resort that offers a solarium, swimming pool, gym facilities, as well as a wide selection of rooms solely for the passionate eco-tourist. If you are looking for sophistication, you’ve come to the right place. Hotel Fasano Rio destination is one of the top resorts of the city offering a unique blend of beach life, spa treatments, a rooftop pool and imaginative cuisine in one of Rio Janeiro’s most desirable communities. Stretched along the white sugary shores of Copacabana Beach lies Rio Othon Palace, a luxury hotel surrounded by beach and mountain charm, a heated pool and massage therapies to release tension, and a bar well-stocked with exotic cocktails. Strategically located along Copacabana’s coastline, the Oceano Copacabana Hotel attracts many tourists with its scintillating views, buffet-style breakfast, hot tub facilities and unbeatable prices to ensure customers have a memorable experience. Unwind in opulence while Promenade Visconti takes care of your every desire. With complimentary breakfasts, 24-hour front desk, bar and lounge access and an elevator attendant, its excellent staff is equipped to make its guests’ vacation dreams a reality. The Golden Tulip Ipanema Plaza is one of Rio’s newest properties, which offers a comprehensive view of the city from all sides, vibrant hotspots and sugary beaches. Less than five minutes from Cuiaba’s Arena Pantanal Stadium, Alvorado Palace Hotel is an ultimate hotel destination for visitors who are eager to mix World Cup thrills with relaxation as its cozy rooms, cyber café, and beauty parlor that aims to ease you mind. Situated close to Cuiaba’s transportation centers, Mato Grosso Palace provides a network of options for guests wanting to explore the city with ease. For those wanting to stay in, head to the buffet and enjoy your amenity-filled room as its staff waits eagerly at your beck and call. If you’re a nature lover, then you’ll enjoy the premises of Hotel Fazenda Mato. Here, green acres fill its outdoor spaces where adults and children alike can splash in its swimming pools, dine on local cuisine, and cuddle up to local farm animals of the Pantanal Region. Global Garden Hotel brings style and warmth together in its 80 rooms, gym, auditorium, and pool. Less than 10 miles from Cuiaba’s Arena Pantanal Stadium, this hotel is ideal for mixing a little World Cup chaos with relaxation. Hotel D’ Luca is one of Cuiaba’s newest hotels, designed with a strong dedication to spoil its guests with warm hospitality and some of the best cuisine in the area. With the ocean at its feet and a waterpark at its side, Beach Park Suite offers a fun-filled, family-friendly getaway where tourists can get wet and wild. Since 2001, Vila Gale’ Fortaleza’s five-star service has touched many visitors by offering complete access to pristine beach life, Amazonian décor, a world-class gastronomic experience, and luxury rooms complete with satellite TV, minibars, safe, and top-notch room service to ensure guests have an unforgettable vacation. Surrounded by restaurants, pubs and shopping area, Villa Azul Praia Hotel aims to build memorable experiences from in and out of its comfortable suites. Swim in the ocean, relax by the pool, de-stress in the hot tub or unwind in your room. No matter where you are in Mareiro Hotel you will be swept off your feet by its one-of-a-kind amenities. “Find your Oasis” at Oasis Atlantico Fortaleza Hotel, a resort that brings tradition and style the forefront of its five-star quality service with a selection of over 130 apartments, beauty salon, restaurants, gym facilities, spacious beds, and much more! Situated in close proximity to Recife’s famous shopping district and surrounded by the culinary treats of Northern Brazil’s most dynamic restaurants, Canariu’s Palace Hotel’s location promises an unforgettable experience in and out its doors. Vela Branca Praia Hotel brings comfort and convenience under one roof for vacationers needing a pleasant hotel destination for just the right price. Nestled on Boa Vista Beach, guests of Hotel Jangadeiro are bathed in luxury through dazzling oceanic views, exotic cocktails, and the ability to explore Recife’s exquisite restaurants and entertainment venues. Spend your days and nights in Vila Rica Hotel, a luxury resort dedicated to lavishing its guests with the azure waters of the pristine Boa Viagem Beach and introduce them to the Brazilian way of life through nearby tourist attractions and business hubs. With the waves of Boa Viagem Beach within earshot, the hotel echoes the vibrancy of the Boa Viagem while catering to the every demand of its guests through food, culture and nearby trendy shopping areas of Recife. Escape to the Hotel Millennium where its fully-loaded rooms, panoramic views, rooftop pool and hot tub are well-designed to accommodate your most demanding vacation desires. Put your mind at ease at Comfort Hotel Manaus, a resort where hospitality comes in the form of fully-equipped rooms including smoking and paraplegic facilities to ensure each guest’s needs are fully met. Have you ever wanted to lay your head in a rainforest? In Tropical Manaus you can do just that in this eco-friendly resort, which provides an authentic Amazonian adventure in the heart of the Amazon Rainforest. As the largest eco-friendly hotel of the Amazon, be prepared to be astonished by the boutique resort’s catwalk and towers completely made out of wood. The renowned hotel has finally landed in the city and has made a big splash with a touch of elegance in the heart of Manaus’ business hubs and highlights.